. Published on October 1, 2010 . 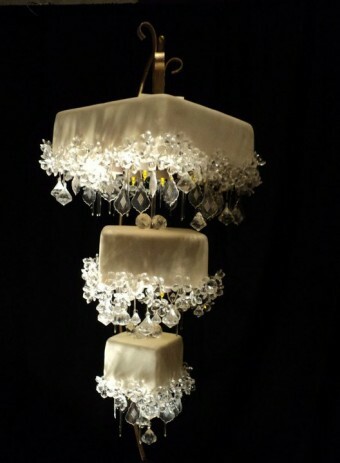 I have always been amazed by the chandelier wedding cake. 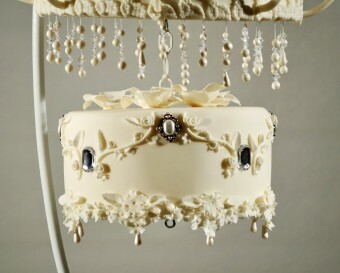 I have no idea who invented this ingenious idea that literally flips the idea of the wedding cake upside down! 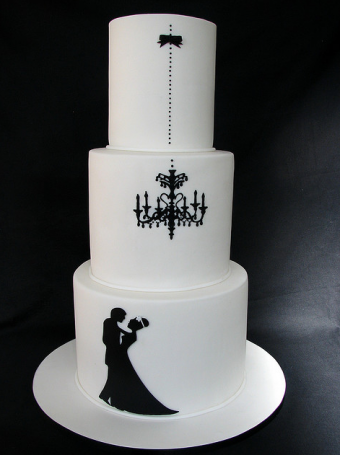 Look at this beauty from Judy’s Cakes! She shows step by step photos on her blog and was even published in Cake Central Magazine! I am not surprised, it’s an amazing cake! Where in the world did she get this stand? Must be custom! Love this lighted version. 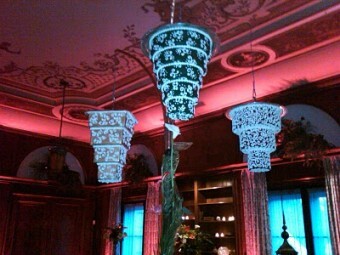 The crystals really bring in the “chandelier” feel. So beautiful. Look at these amazing cakes from Positively Province! Not only upside down but they glow in the dark too!!! Tricky tricky! 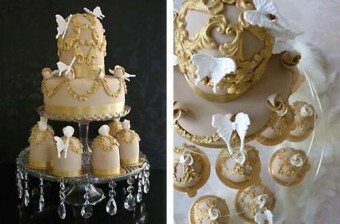 With a theme of turning the catering world upside down, Provence Catering debuted their upside-down Wedding Cake Trilogy. Executive Sous Chef Rocco and Executive Pastry Chef Nicole combined their considerable talents to defy gravity with three beautifully decorated wedding cakes seemingly suspended upside down in mid-air. Each cake was a different size, shape and completely edible. 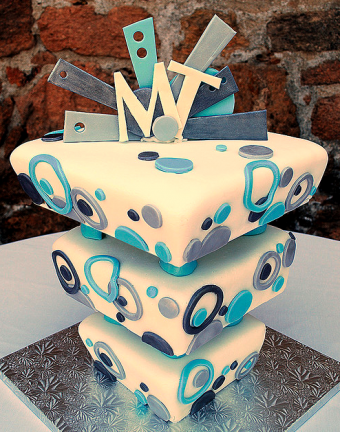 Chef’s Nicole’s award-winning wedding cake is always delicious. It seems that these cakes are suspended by magic! I mean, its hard enough to get your cake to not fall over right side up! 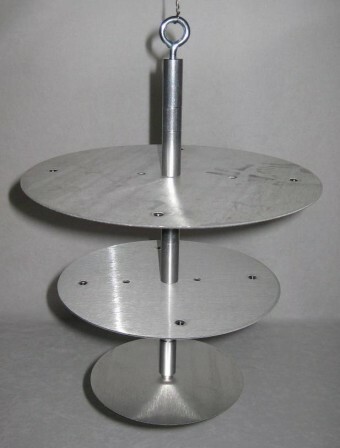 This seems like an impossible feat to the untrained eye but really its just an really cool cake stand! This one is from cakestackers.com. They are experts on tricky cake stands! I think the topper really makes this cake. It’s almost sculptural. Very elegant! OH MY GOD!!!!! Absolutely beautiful and very unique!!! I love it!!! This is absolutly amazing! I am in awe! I have NEVER seen a cake like this. Amazing! It is really tricky to the eye for sure. Maybe we should do one for the Halloween party?? It’s sort of an ‘out there’ holiday…right? Super fun and interesting post Liz, loved it!